Cobalt is a technology and energy metal with unique physical and chemical properties making it ideal for use in a wide range of metallic and chemical applications. Historically, consumption was dominated by metal alloys, leveraging cobalt’s high strength at elevated temperatures, strong magnetics, and wear and corrosion resistance – properties needed in aerospace superalloys, cutting tools, binders for cemented carbides, permanent magnets, prosthetics – and recently, semi-conductors. But the market has transitioned over the past two decades, reflecting growing demand for cobalt in chemicals, and particularly the compounds used to make rechargeable batteries. Consumption in batteries has driven a 20+ year, 6% compounded annual growth rate in cobalt use. Batteries now account for 60% of a 125,000-tonne market, up from 1% of a smaller 35,000-tonne market in the mid-1990s. Cobalt chemicals are also used in catalysts to refine petroleum, make plastics and steel belted radial tires, dryers, pigments, food additives and agricultural products. The cobalt market is in a supply deficit, but most analysts believe it will be in balance or in a small surplus after the ramp up of the Katanga and Roan Tailings projects in the Democratic Republic of the Congo (DRC) next year. 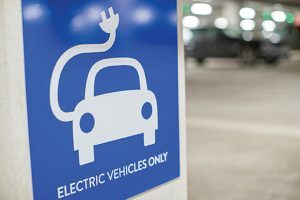 There is general consensus, however, that strong demand growth from electric vehicle (EV) mass adoption in the early 2020s will push the market into a sustained period of shortages until new deposits are developed. Until recently, rechargeable batteries were used primarily in small portable electronic devices, including mobile phones, notebook computers, games and power tools. Growth in demand reflected a two-decade evolution in battery technology and increasing energy density from nickel-cadmium to nickel-metal hydride and to today’s lithium-ion chemistries. Lithium-cobalt oxide (LCO) cathode chemistry, containing up to 60% cobalt by weight, is the standard cell powering small devices because it delivers the highest volumetric energy density, enabling thin batteries preferred by consumers. Since the first Ford Model T’s rolled off the production line in 1908, cars and oil have shared a bond that reshaped global industrial activity and energy supply. New lithium-ion chemistries are enabling a disruptive transformation of the automotive industry with electric drivetrains replacing internal combustion engines. Nickel-manganese-cobalt (NMC) and nickel-cobalt-aluminum (NCA) are the preferred cathodes in EVs and contain 5% to 30% cobalt, depending on the ratios of the constituent metals. Cobalt, together with other metals, is needed in the cathodes to produce the preferred balance between performance, energy density, charge time, charge life, safety, and cost. The cell structure requires a minimum amount of cobalt (about 5%), unless lower energy density lithium-ion batteries without cobalt are used at the expense of performance. A typical smart phone battery requires only 5 to 20 grams of cobalt, whereas an EV requires between 4 and 30 kg. Automotive electrification is just getting started with about 2% of all cars sold today being electric. Bloomberg estimates that 25% of automobiles sold in 2030 will be electric, and even faster adoption is planned by German automotive producers who project 25% adoption by 2025. Irrespective of different EV penetration forecasts, it is a fact that EV sales are accelerating as more countries announce future bans on internal combustion engines and people are incentivized to purchase lower emission vehicles to reduce our carbon footprint. China, for example, is penalizing purchasers of gasoline-powered cars in major cities with fees and other costs that do not apply to EVs. Lithium-ion battery prices are also declining, charging takes less time, and the range provided by batteries is more competitive with a tank of gas. The EV transformation was validated by more than 400,000 pre-orders for the Tesla Model 3. Further validation comes from the billions of dollars being invested in EVs by automotive OEMs and in battery megafactories. The 2016 commissioning for the first phase of the US$5-billion, 35-GWh Gigafactory joint venture between Tesla and Panasonic was an early trend setter to a global megafactory phenomenon. On achieving full production, the Gigafactory will reportedly consume up to 7,000 tonnes of cobalt per year. And whereas battery production was about 120 GWh in 2016, Benchmark Mineral Intelligence is now tracking 64 lithium-ion battery megafactories approaching 1.5 TWh of production by 2028. In November 2018, the board of Volkswagen, the largest producer of automobiles in the world, approved a US$50-billion investment to begin mass production of EVs in Europe with the conversion of three plants in Germany. This financial commitment is indicative of the investments being made in automotive electrification by all of the major OEM brands all over the world. Lithium-ion batteries are also being used to store energy in the electrical grid as well as smaller-scale residential and industrial storage to make energy use more efficient. Because 85% of power is consumed in just 15% of the day, off-peak charging of batteries can store power for use during periods of greater energy demand. Storage also enables intermittent renewable wind and solar power generation to be used in base load. The Hawaiian island of Kauai, for example, is now powered almost entirely by solar energy with battery backup, and hybrid power supplies are being installed at industrial sites, including remote mines to improve energy efficiency and reduce greenhouse gas emissions. Benchmark estimates that by 2028, the cobalt industry will need to produce well over 200,000 tonnes of cobalt in battery grade chemicals each year. This will push total annual cobalt demand to between 250,000 and 300,000 tonnes with the inclusion of consumption in other products. Solid-state batteries, generally considered to be the next generation technology for EVs, are also expected to contain similar cobalt-bearing cathodes. Cobalt mine supply is dominated by African Copper Belt-type deposits in the Congo that are responsible for about 70% of global production, growing to 75% with the Katanga and Roan tailings ramp ups. Other countries, including China, Canada and Russia produce cobalt as a byproduct of magmatic nickel sulphide deposits, and nickel-cobalt laterite deposits are mined in Australia, the Philippines, Cuba, Papua New Guinea and Madagascar. About 15% of the world’s mine supply is from Congolese artisanal mines that are under growing scrutiny from Amnesty International and the Responsible Business Alliance for use of child labour, unsafe working conditions and environmental degradation. Geographic concentration of cobalt mine supply in the politically unstable Congo and concerns about supply chain transparency and ethical procurement of raw material are identified risks to the global supply chain. Additionally, because 98% of non-artisanal cobalt supply is mined as a by-product where the primary metals determine project economics, there is a risk of cobalt production being less responsive to market demands. China has also been investing heavily in Congo cobalt production and setting up networks to purchase artisanal cobalt oxide materials, exacerbating geographic concentration of supply and supply chain transparency concerns. Cobalt refinery supply is dominated by China, which is now responsible for about 60% of global refined products, and 80% of cobalt chemicals. Refined cobalt metals and/or chemicals are also produced in Finland, Canada, Japan, Norway, Australia, Belgium and Zambia. However, China is proactively consolidating its position in the supply chain for cobalt as part of a strategic drive to lead the global race to EV mass adoption and ensure its factories have access to the raw materials they need and is a policy risk. Due to supply chain concerns, for other countries are proactively looking at investments in cobalt procurement and advocating for supply chain transparency and ethical mine production. Japan for example, is arranging a consortium of domestic companies to secure cobalt for its industry. It, and other countries, are also looking at direct investment in projects outside of the Congo, particularly safe mining jurisdictions such as Canada and Australia. Regardless of its history of corruption and instability, and concerns about some artisanal mine production, the Congo will continue to be the world’s largest producer. Like any commodity, the cobalt market will ultimately respond to industry’s needs, and higher prices will lay the groundwork to new discoveries needed to balance the market. But this will require a period of sustained higher cobalt prices at or above the current US$30-35 per lb. in order to ensure that new mines come on stream. Cobalt thrifting in batteries and metal recycling will also be necessary to mitigate the future demand pull. 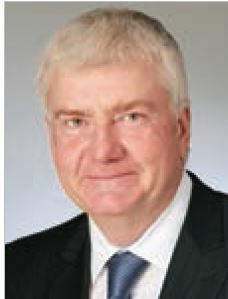 ROBIN GOAD is the president and CEO of Fortune Minerals, which is advancing the NICO cobalt-gold-bismuth-copper project in the Northwest Territories.